Triumph After All is an historical fiction novel written by Bina Kozuch. The author’s story is based on the life of her mother, Cipora Kozuch, aka Tziper-Gittle Dratler-Younger, who was born and raised in Ruscova, Romania, and was the only member of her immediate family to survive the Holocaust. Cipora shares her early experiences in the shtetl, remembering the meticulous care her mother took of their home, especially before Passover, and the whirlwind of cooking preparing for that holy day. While her brother was a student in the Heder, Cipora, who had attended public school until Jews were forbidden to attend, continued her studies with a tutor. The family kept cows and grew vegetables, and made efforts to include the needy in their bounty, but everything was lost on that morning when the military banged on their door and demanded that they pack one suitcase each and meet in the square. They would have one hour to say goodbye to everything they had known. Triumph After All is a meticulously researched and compelling recreation of her mother’s life and experiences before, during and after her confinement in Auschwitz-Birkenau, where her family were numbered among the 146,000 Jews from the county of Maramures, Romania who died in that camp. Cipora’s story kept my attention riveted as I marveled at her resilience and determination to survive. I loved seeing her traditional recipes, which are included in each chapter of this book, and am planning on making several of them soon. Bina includes in-depth details about the history, politics and the baffling and disgraceful refusal of many countries, including the United States and England, to admit the Jewish refugees. Triumph After All is beautifully written and includes an extensive bibliography and Suggestions for Further Reading. 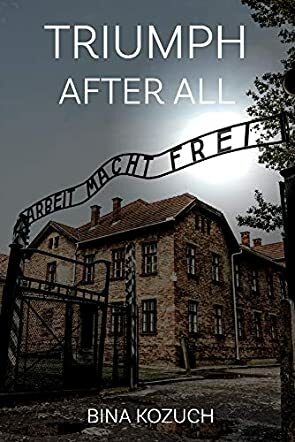 I have read many histories and works of historical fiction dealing with the Holocaust and found Bina Kozuch’s research and written work to be exceptional, due in large part to the stories and life experiences of her mother. Triumph After All is most highly recommended.